Denon Heos brings the home cinema experience together with High Fidelity audio to any room of your house. As new LED and OELD TVs become even thinner, sound quality is diminished. 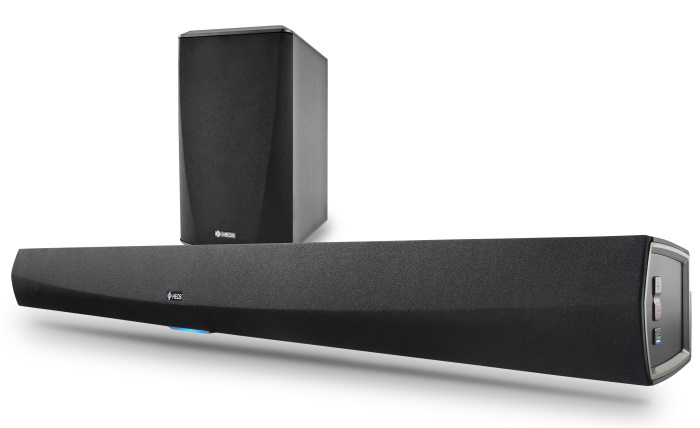 The Denon HEOS HomeCinema soundbar and subwoofer addresses this issue, delivering true wide range high fidelity audio, for maximum enjoyment of TV, movies and music. HEOS HomeCinema features dual 5.25" drivers and high performance tweeters combined with advanced DSP processing to deliver a wide, dynamic and immersive sound stage. The Denon soundbar is able to decode a wide range of audio formats including Dolby Digital, Dolby Digital Plus and DTS. Installation is quick and easy and Heos HomeCinema can be combined with all other products in the Heos range to deliver a full multi room audio system.